We got BVI Finance’s Head of Business Development, Gary Hales, into the studio to talk about its latest report with Capital Economics, which explores the global economic impact of the British Virgin Islands finance services sector. But it was barely a month since Hurricanes Irma and Maria devastated the island, so first we had to check: is everything all right, out there? As Gary explains, the story for the financial services sector is, there is no story. They’re doing business again, and helping the island to rebuild. World Finance: So what’s the situation like on the ground? Gary Hales: So we’re almost a month since the first hurricane hit. So we had two: Irma and Maria. And I was on the ground for both of those, and it wasn’t in the job description, I did check! But they were absolutely frightening. Not only the hurricanes themselves, but the aftermath. To sort of, wander through the streets, there was no communication; obviously the phones were all down, all of the systems were down. I couldn’t contact my family back in the UK for a few days. And the devastation is really… words can’t describe. No bark on trees, no leaves on trees; everything is just completely destroyed. It does look like something out of a war movie. So, there’s two elements to it. One is that just blows your mind away, you think: where do we start? But on the flip side, how quickly people in BVI have recovered and got going. Perfect example on the financial services side, the day after the first hurricane hit, we were incorporating companies. One of our major law firms in BVI, Ogier, was involved in the Toys R Us chapter 11. That was done in BVI the day before the second hurricane hit. So, the business recovery plans of firms in BVI have been phenomenal. The financial services commission, that was up and running straight away. We relocated our commercial court to St Lucia. So really, in relation to financial services, the story is that there is no story. All the things you could do prior to the hurricane you can still do now. So yes, there’s sorts of upheaval very much in terms of people’s homes destroyed, people living in one room. But everybody’s just pulling together, getting in and making things happen. So that camaraderie, that support, and that desire to strengthen BVI, make it even better than before, was apparent from literally day one. 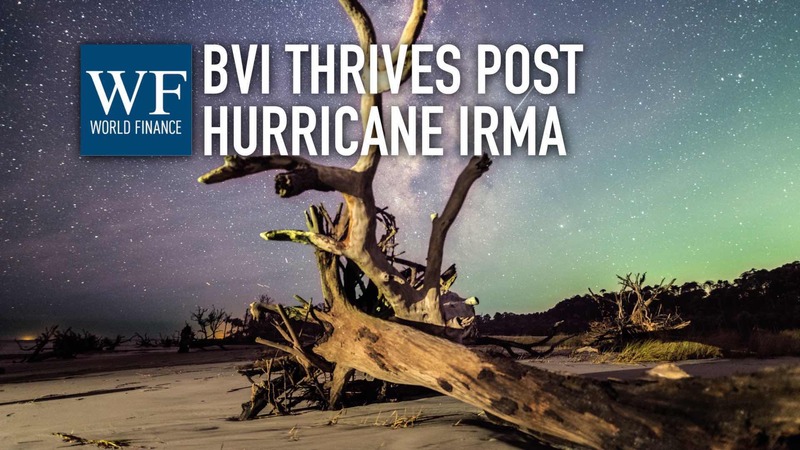 World Finance: BVI Finance does have a long history of doing a lot of financial education, a lot of outreach work; are you all out on the ground, helping rebuild? Gary Hales: Yes, I mean: for me it’s been quite an interesting couple of weeks before I came out to London. In the morning I was doing BVI Finance work, and in the afternoon I was out delivering into shelters. And everybody’s really mucking in: whether that’s clearing the roads, collecting and delivering aid, helping people… you know, finding them somewhere to live. Within BVI Finance as an example, we’re creating a database of where there are rooms and properties that are available, that have power and access to drinking water. And I think, one thing I just want to mention is that: yes, everything is working. But the cost of rebuilding is $3-4bn. 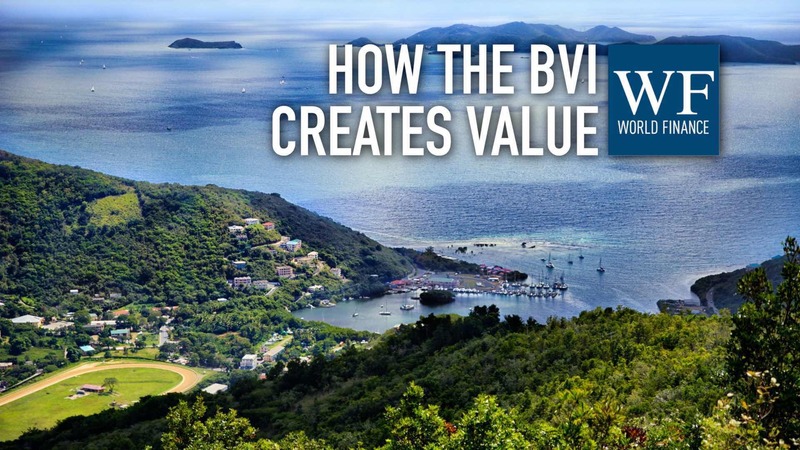 So it is a phenomenal amount of work and funding that’s going to be needed over the next couple of years, to really get BVI back to where it was, and even better than before. World Finance: Gary, thank you very much. Gary Hales: Pleasure, thank you Paul.